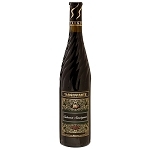 Chateau Damjanovic red wine that is a combination of Cabernet Sauvignon and Merlot, or so-called Bordeaux Blend. This characteristic provides a compelling blend of ripe fruit flavor and purple color. This is a wonderful expression of terroir in the village of Garevina in Serbia. 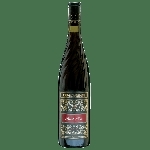 Classic Cherry and Currant fruit with notes of tobacco, tar and cedar, with a hint of bittersweet chocolate on the finish.